Since it is Heart month….let’s talk about Heartburn and those all too commonly prescribed acid blocking medications. Acid Blocking Medications are NOT the solution to Acid Reflux/GERD/Heartburn. Acid Blocking Medications are the most commonly prescribed medication in North America. These medications are used to treat acid reflux, GERD (gastroesophageal reflux disease) and heartburn. Most patients have been put on these medications as a long term solution. The problem with taking these acid blocking medications is that you need stomach acids to properly digest your food and absorb nutrients. Therefore long term use of these medications can lead to poor metabolism, vitamin and mineral deficiencies and increased risks of chronic disease processes including digestive problems. We also need stomach acids to kill off infectious agents that should not be allowed to enter our bodies. Therefore when we take acid blocking medications we are allowing potential microbes to enter into our digestive tracts, which can wreck havoc on our microflora in the gut and potentially lead to a number of other associated problems. 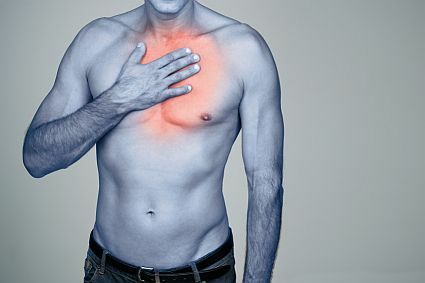 The cause of acid reflux is not typically too much stomach acid but actually not having enough. There is a sphincter between your esophagus and your stomach, which opens and closes, and is supposed to keep the contents of the stomach from moving back up the esophagus. This sphincter works by direct feedback from having sufficient acid production. If there is sufficient stomach acid then the sphincter tone increases, but if the stomach acid is low at the point in time when food enters the stomach, the tone of this sphincter is weakened and unable to keep the stomach contents in the stomach, leading to the symptom of acid reflux. There is no doubt that these medications work effectively at reducing or eliminating the symptoms. The reason people experience relief is that the medications eliminate the acid altogether, hence no acid will move up into the esophagus. Hence, it treated the symptom but did not address the cause. The reason stomach acid is low is commonly due to our high stress lifestyles where our body is in a stress state or sympathetic dominant state when we are eating our food. In prehistoric times, when we were trying to escape from that tiger, our sympathetic nervous system kicks into “fight-or-flight” mode, our body’s priority is to get us out of that situation, not to digest our foods. The other component of your nervous system is your parasympathetic nervous system that is responsible for “rest, digest, and repair”. The problem is that many people are eating in a sympathetic dominant state. When we eat in a sympathetic dominant state, we do not produce enough stomach acid, the sphincter is weak and acid reflux occurs. There are some tips for treating the underlying cause of acid reflux and getting patients off of the acid blocking medications. We need to stop eating on the go or in a stressful environment. We need to take time to eat and relax. Take a teaspoon of apple cider vinegar a few minutes before you eat, as it help prepares your digestive tract for incoming food by increasing mucous production, releasing enzymes and increasing stomach acids. In some cases it may be necessary to take hydrochloric acid and digestive enzymes until the stomach can produce enough acid on its own.